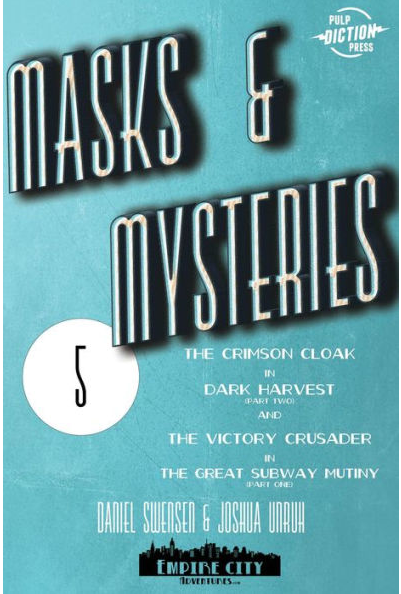 Masks & Mysteries is a monthly pulp adventure serial set in the fictional universe of Empire City. We bring you all the high-octane pulp adventure without the troublesome tropes of the classic pulp tales. Take us for a spin… you won’t be disappointed! A mysterious murder, a deadly drug, a conspiracy that goes all the way to the top -- and no one can stop it but two vigilantes and an intrepid reporter! 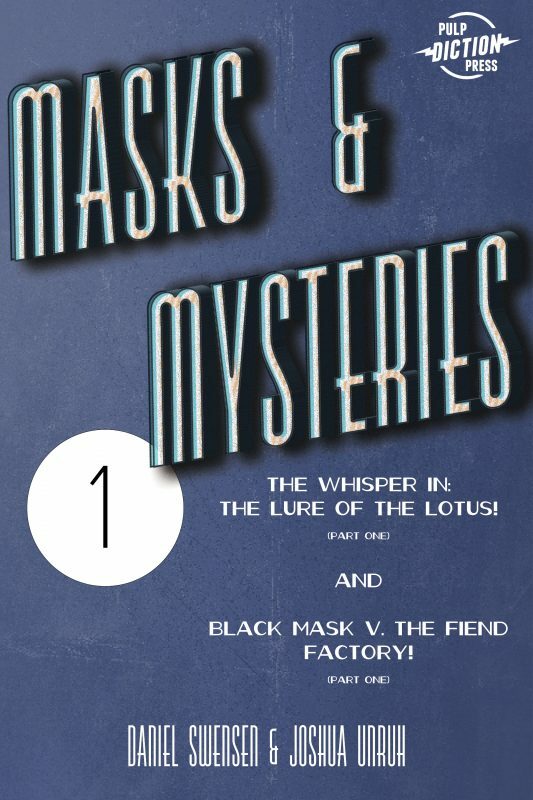 Masks & Mysteries #1 begins the epic adventure that will usher in a new era of thrilling pulp adventure! 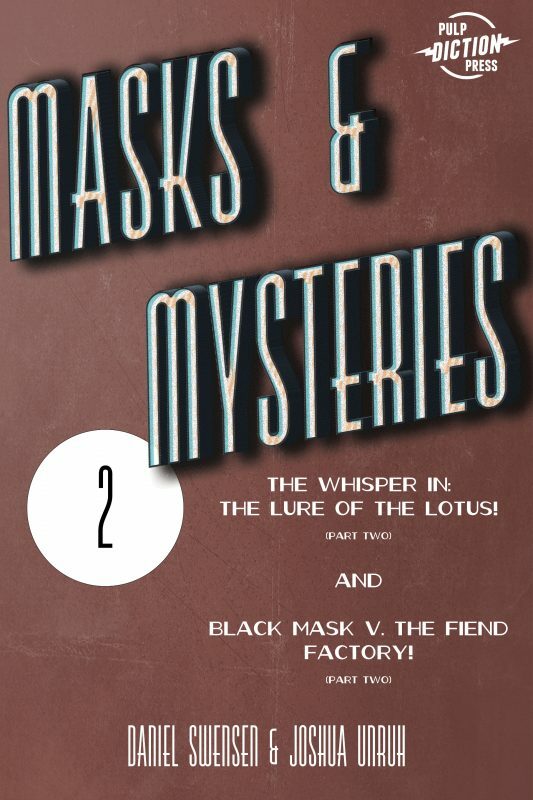 Masks & Mysteries #2 continues "The Lure of the Lotus" and "Black Mask vs. the Fiend Factory," two thrilling adventures set in Empire City! Can the intrepid reporter and the avenging vigilante stop the alien threat to their beloved metropolis? 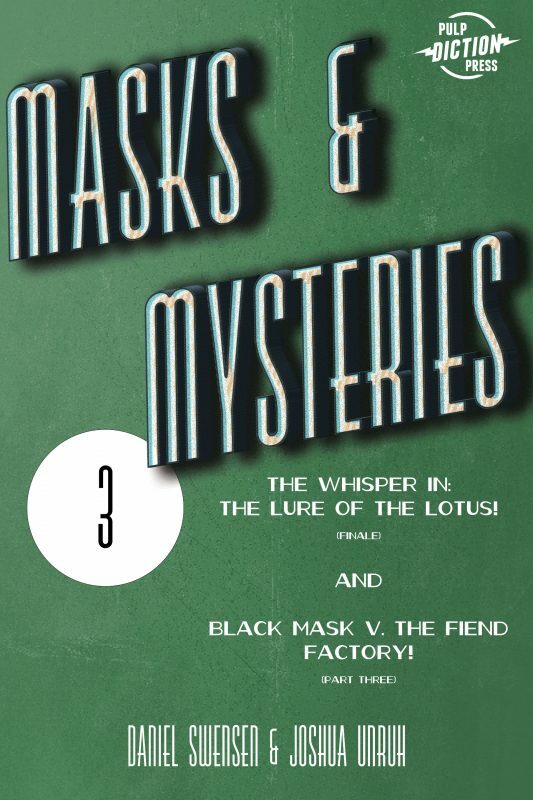 Masks & Mysteries #3 concludes "The Lure of the Lotus" as The Whisper and Andrea Ashby confront a strange menace, while The Black Mask comes to grips with the true meaning of "The Fiend Factory!" Masks & Mysteries #4 concludes "Black Mask vs. the Fiend Factory" and begins a NEW thrilling adventure with a new hero: The Crimson Cloak in "Dark Harvest!" 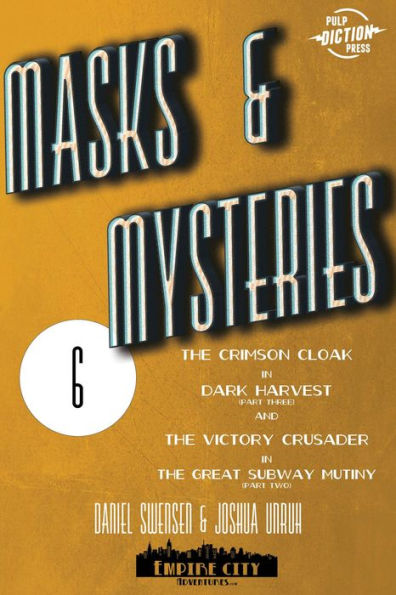 Masks & Mysteries #5 continues the adventures of the Crimson Cloak in "Dark Harvest" and begins a brand-new adventure with the Victory Crusader in "The Great Subway Mutiny"! 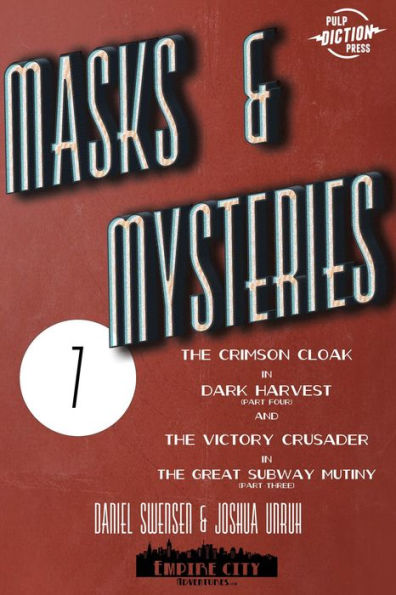 The adventures of the Crimson Cloak continue in "Dark Harvest," while the Victory Crusader continues the epic tale of "The Great Subway Mutiny"! 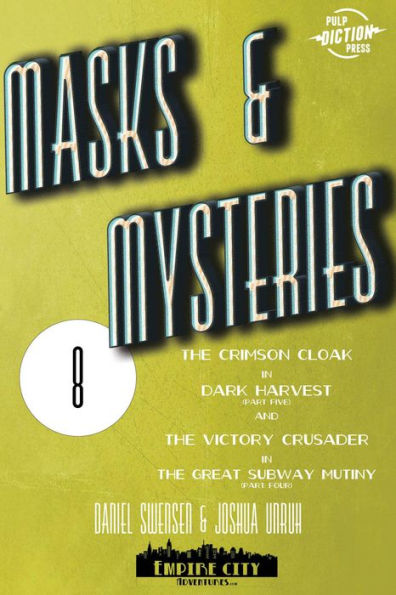 The adventures of the Crimson Cloak and the Victory Crusader draw toward their conclusions! The continuation of "Dark Harvest" and "The Great Subway Mutiny" !